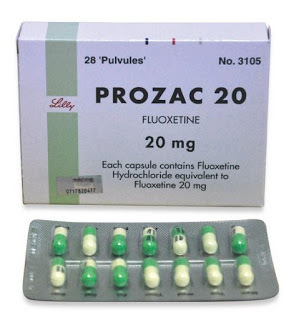 Welcome to the twenty-second installment of the Haunted Montreal Blog! Released on the 13th of every month, the February 2017 edition focuses on research we are carrying out into the building located at 1248 Stanley Street and reported paranormal activity within it. With the cold winter here, Haunted Montreal is not offering any more public tours until May, 2017. Stay tuned for some of the ideas we are planning for the winter months! 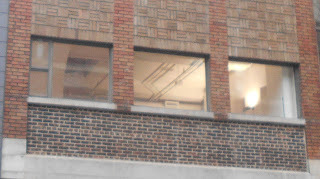 1248 Stanley Street is non-descript brick building with a lot of history that sits in the heart of Downtown Montreal. 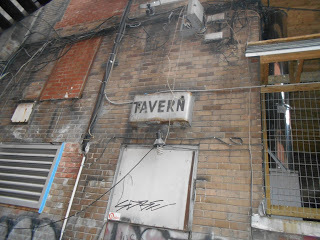 The ramshackle, three-story edifice was once the heart of the West End Peel-Stanley Gay Ghetto, the city’s gay village during the 1970s, when bars Le Mystique and Truxx were located in the building. These were raided by police in 1977, prompting a strong response from the civil rights community. When Montreal’s gay village migrated eastwards in the 1980s, the bars began a slow and agonizing decline until their eventual bankruptcies. Other businesses have since tried to make a go of it in the brick building, but rumour has it the place is haunted. According to certain sources, the unassuming building at 1248 Stanley Street has ghosts. 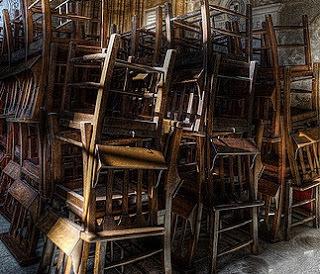 A client named Suzanne contacted Haunted Montreal to recount a frightening tale that occurred when she worked there decades ago, in a bar called Glace. Suzanne explained: “When I started working there in 1982 (and until 1986 – it was called Glace and then the Sphynx), Le Mystique was still in business and there were a lot of patrons there. 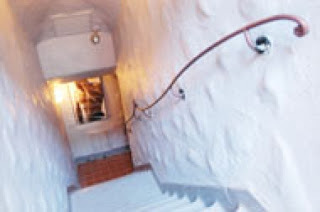 I remember well because the employees’ entrance was in the basement where Le Mystique was. Despite stories of occasional tragedy or violence, Le Mystique and Truxx were also instrumental in spurring social change for Montreal’s queer citizens. As mentioned, during the 1970s, the bars were located in the West End Peel-Stanley Gay Ghetto, the predecessor to Montreal’s famous Gay Village that exists to the east today. In the early hours of Oct 21, 1977, a massive police presence gathered on Stanley Street with a plan to raid both gay bars. Arriving with their machine guns drawn, the cops descended on the bars and proceeded to arrest a total of 146 gay men, all of them on questionable charges. Many of those arrested were forcibly given medical tests for venereal diseases, which involved inserting a Q-tip into the urethra, before being crammed into tiny, crowded cells for the night. The next day they were charged with “gross indecency”. 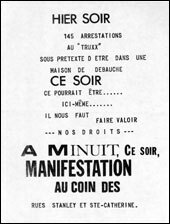 Citizens were outraged at the discrimination and began mobilizing. 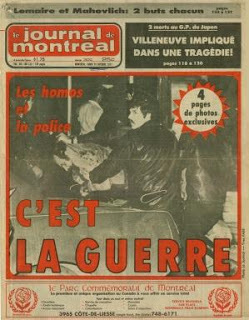 It was seen as Montreal’s Stonewall moment, a reprise of the oppression suffered by the LGBT community in New York City in 1969. At the time, many of Montreal’s citizens theorized that the municipal authorities were attempting to remove all elements of the gay community from the downtown core and push them to the outskirts in the east. With pressure mounting, politicians scrambled to resolve the situation. The following December Quebec’s National Assembly approved Bill 88, a new law that added sexual orientation to Quebec’s charter of human rights, making it illegal as a basis for discrimination. This law made Quebec the first place in North America to have such protection, sparking one of Montreal’s first Pride Parades in 1979. 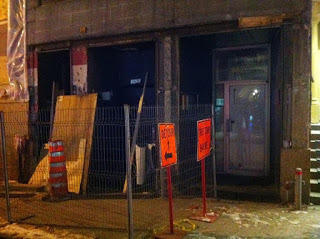 Despite its important role in helping to secure better human rights for Montreal’s LGBT community, Le Mystique finally closed its doors in 2009. After 37 years of operation, it was Montreal’s oldest gay bar when it closed. 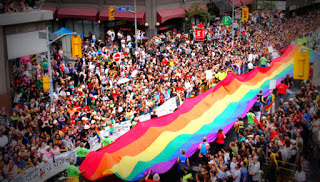 The Gay Village had migrated eastwards to the Sainte-Catherine Street neighbourhood between Berri and Papineau Streets, taking with it many of the former patrons. The West End Peel-Stanley Gay Ghetto was no more. 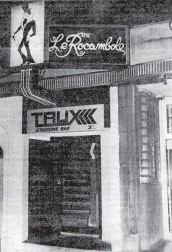 The archivist had been researching Claude Monteuil and Claude Joly, two men who were charged with five counts of attempted murder after opening fire in L’ Oxygène nightclub on the night of December 27, 1979. At the nightclub, the two men encountered a group of young Italians who had crashed their first party after having been released from prison just a few weeks earlier. After a heated exchange, the gentlemen decided to take things outside. However, as they were headed towards the door, Montreuil instructed Joly to shoot the Italian youths, which resulted in a bloodbath. While both Joly and Montreuil claimed they were defending themselves, presiding Judge Choquette didn’t buy the argument, saying the whole thing could have been avoided if they had stayed at home. Needless to say, Joly was sentenced to 25 years in jail and Montreuil was given 12 years. Feeling disturbed, the archivist contacted a medium who told her that it might be an entity who wanted to warn her that she was in his territory, as if he wanted her to stop doing research. 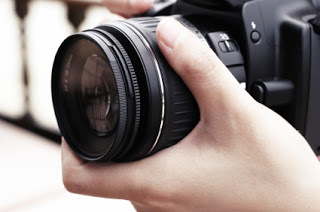 To make matters worse, a photographer was sent to take pictures of the building also had a weird encounter. He had spent over an hour documenting the establishment, but upon returning to his studio, he was shocked to discover that every single photograph he had taken was mysteriously deleted from his digital camera. What had happened to the images, he wondered. On his second visit, the fresh batteries in his regular camera mysteriously failed. He decided to use his cellphone camera, only to discover that it had inexplicably disappeared. It was only after buying new batteries for his camera that, on his third attempt, he was finally able to take some pictures. Incidentally, his phone was eventually found by an office worker on the west side of Stanley Street, which is unusual because the photographer had only been on the east side of the street. Could it be possible that the same entity who harassed the archivist is also responsible for deleting the photographs and causing the phone to go missing? If so, why might the strange entity want to prevent the investigation into this haunting? 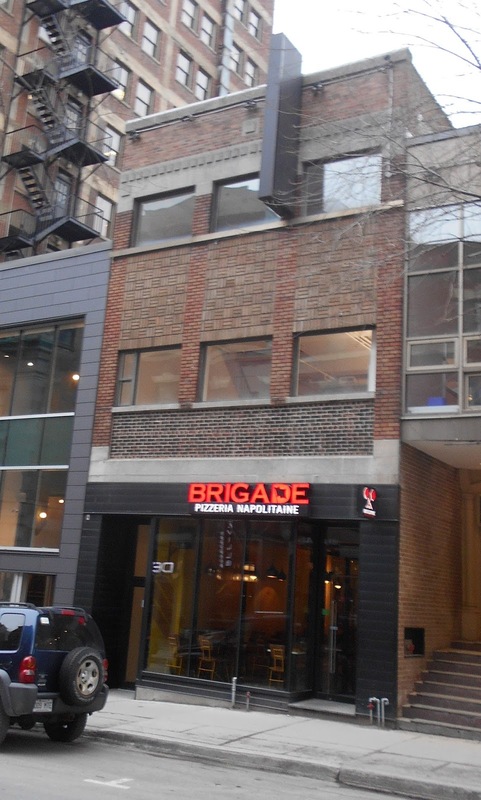 Today, Brigade Pizza occupies the ground floor of the building. Founded in April 2013, the restaurant offers custom-built Neapolitan pizzas, salads and panuozzos, offering a new concept in Canada. When questioned, the young staff who work at Brigade Pizza were surprised to learn that the building was allegedly haunted. 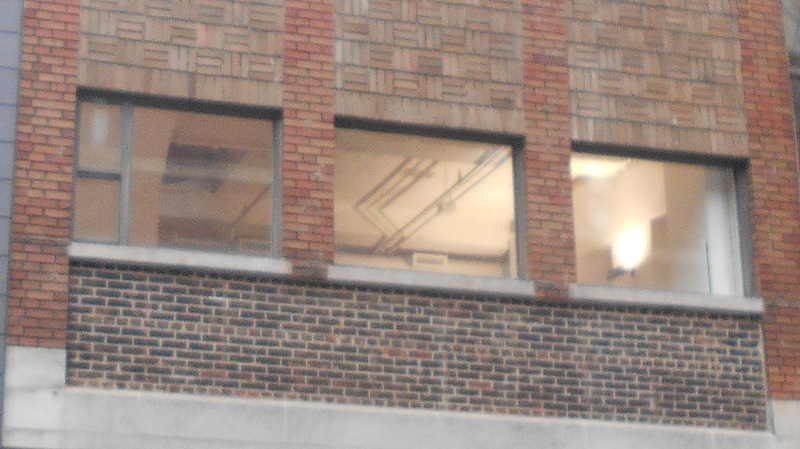 According to one young lady, nobody has experienced anything that might be considered paranormal recently and the upper floors of the building are now being offered as office space. Whether or not the hauntings continue today is unknown. Furthermore, to date, there is no information that could lead to the identity of the paranormal entity who harassed the archivist and photographer. Could there be something to hide, like a long-forgotten murder? Only one thing is certain: the building at 1248 Stanley Street has a lengthy and storied history involving everything from passion killings, gun fights, fatal accidents, police brutality and the violation of human rights. These types of negative occurrences can sometimes lead to haunted activity. Whatever the case, perhaps only more paranormal incidents in the building and continued research will one day lead Haunted Montreal to identify the elusive entity who allegedly haunts 1248 Stanley Street. Hundreds of elderly people live in a large, ramshackle building that sits on the corner of René Lévesque Boulevard and Saint Dominique Streets, in the north-east corner of Montreal’s Chinatown. 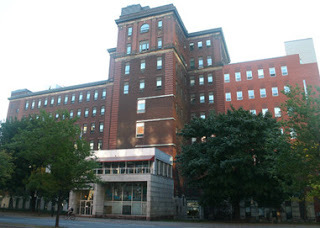 Once Montreal’s General Hospital, the building is now called the Paul-Émile-Léger CHSLD, a government-funded home for the elderly. 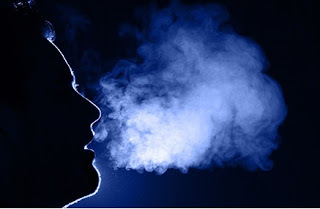 According to various sources, haunted activity is not uncommon in the establishment, including disturbing thoughts that seem to come out of nowhere and sightings of a mysterious ghost who sits on the high rooftop staring down at people on the street below. Could these hauntings be related to the old Montreal General Hospital, which operated on the site from 1822-1953, or might they derive from an abuse scandal that rocked the establishment during the 1990s, when it was called Saint-Charles-Borromée Hospital?